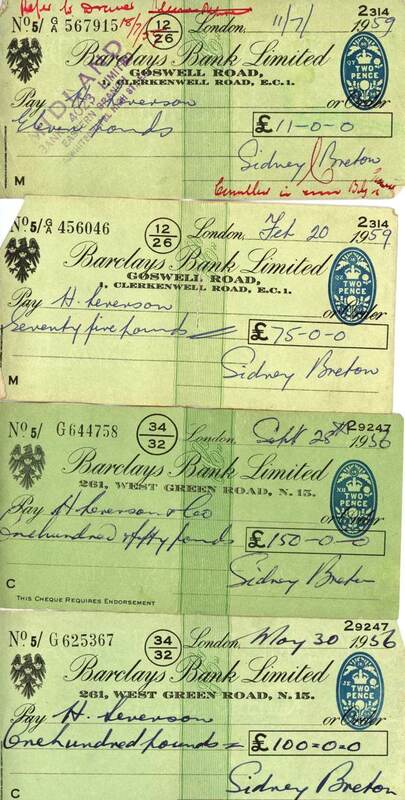 These are just some of the bouncing cheques presented by inveterate gambler Sidney Breton to Spitalfields’ first Bookmaker Harry Levenson and preserved today by his son David Levenson as momentos, eternally uncashed. Indicative of the scale of the compulsion, David has over a thousand pounds worth of these cheques dating from an era when the average salary was just £4 a week. Before 1961, it was illegal to accept bets off the racecourse and there were no Betting Shops, only Commission Agents who – in theory – passed the bets onto the Bookmakers at the courses. Yet the Bookie’s Agents often took bets themselves, resulting in a lucrative business that existed in the shadows, and consequently – David Levenson revealed to me – the police took regular backhanders off his dad, until the change in the law. 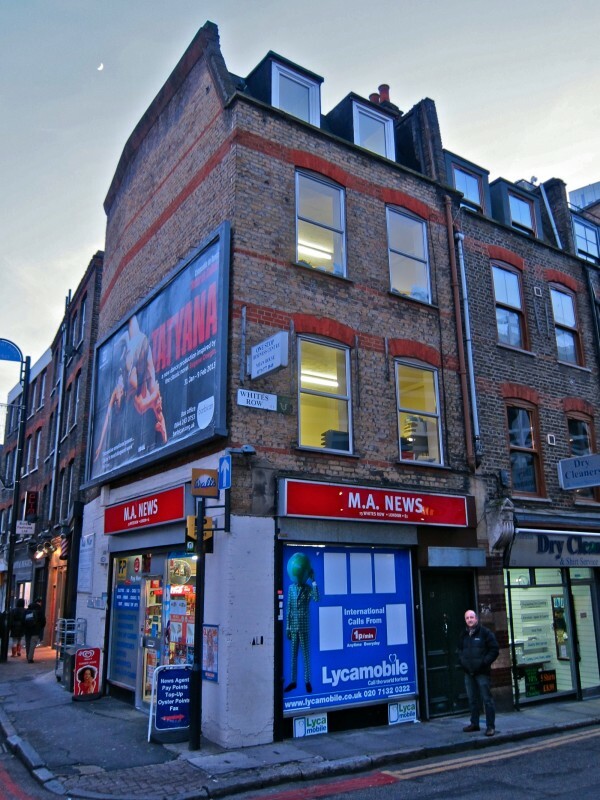 After that, Harry was able to obtain a permit and operate legally from his premises on the first floor at 13 Whites Row, conveniently placed for all the bettors who worked in the Spitalfields Market and Truman’s Brewery, as well as the passing trade down Commercial St. When David came to Spitalfields, we made a pilgrimage together to Whites Row to find the site of his late father’s betting shop, and I learnt that Harry’s career as a Bookmaker was just one in a series of interventions of chance that had informed the family history. 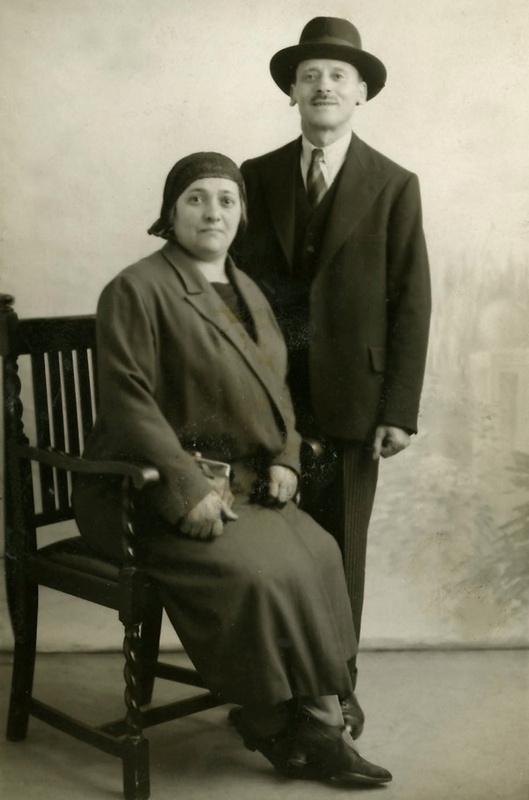 “My father was born in 1919 and grew up in Regal Place off Old Montague St. His father Hyman, a tailor, came from Latvia and his mother Sarah came from Lithuania or Belarus, and they met in London. I once asked my father why his parents came here but he said they never wanted to talk about it, and I knew about the pogroms against the Jews, so I imagine there were pretty bad things. I think it was a tough childhood, but when my father spoke of it, it was with fondness. 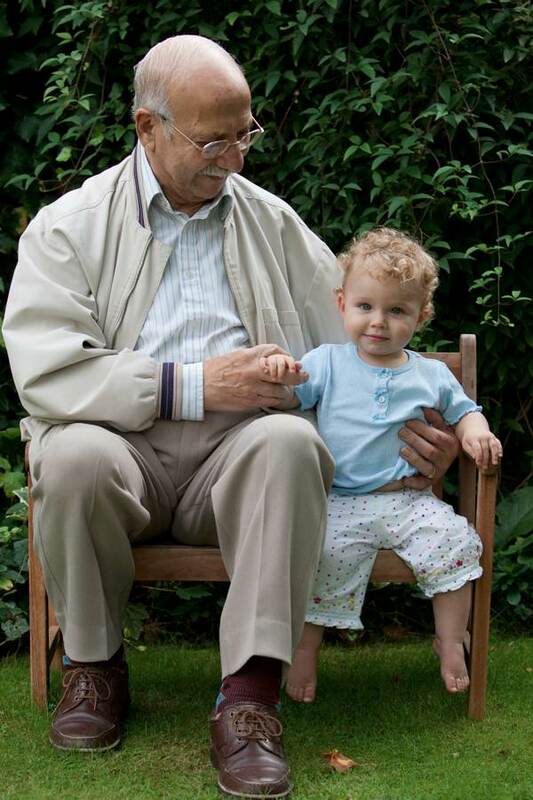 After school – he told me – he used to walk to his grandparents’ house and sit on the step and wait for his grandfather to come home from work, and his grandfather used to take him to buy sweets. My dad told me he was there, standing with the other Jewish boys, when Mosley tried to march through Whitechapel in 1936 and he said all they had was rolled up copies of the News of the World to defend themselves. His elder brother, Sam, had a barber’s shop and after he left school in the late thirties my dad went to work with him until war broke out, when my dad was twenty. He was the most peaceable man you could meet, but when he joined the army he said, “I want to fight at once, I don’t want to march about.” So they recruited him into the Isle of Man Regiment and he served as a gunner on a Bofors Gun. He became one of only forty soldiers from his Battery to escape alive from the battleground of Crete – none of the Jews that were captured ever returned. In January 1943, he suffered serious shrapnel wounds when several of his fellow gunners were killed by a direct aircraft attack near Tripoli. Then his father, Hyman, died while Harry was recuperating but he did not find out until months later when his brother Sam broke the news in a letter in July. When my father came back on leave, he found just a bombsite where Regal Place had been and all the flats were destroyed. But he discovered the family had gone to Nathaniel Buildings in Flower & Dean St and everybody was safe. Incredibly, the bomb had fallen on the only night his father had ever gone to the shelter. 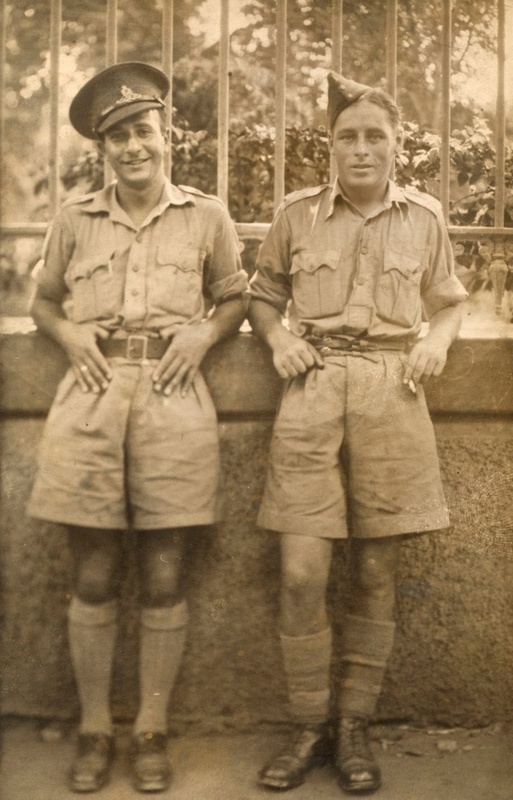 They were calling out in the street for, “Any off-duty soldiers?” and my father spent his entire leave searching for bodies in bombed-out buildings. I could see no relationship in my father’s life to what he had been through in the war – I think he wanted to start again. Afterwards, he simply went back to work in his brother’s barber shop. He learnt to cut hair and became a barber. He started getting tips for horses, so he phoned up his other brother who worked in a betting office and placed bets. 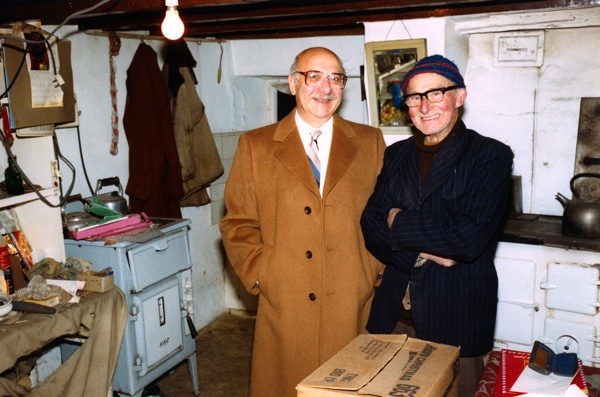 There were no betting shops at the time – it was illegal – but people asked my father, “Why don’t you take bets yourself?” And as more as more people came to place bets than to have their hair cut, he was making more money from being a bookmaker than a barber. Because it wasn’t legal, he wasn’t paying tax, and he was walking around with thousands of pounds in his pocket. But you could never call our family wealthy, we were just middle class. So it is a mystery to me where the money went. 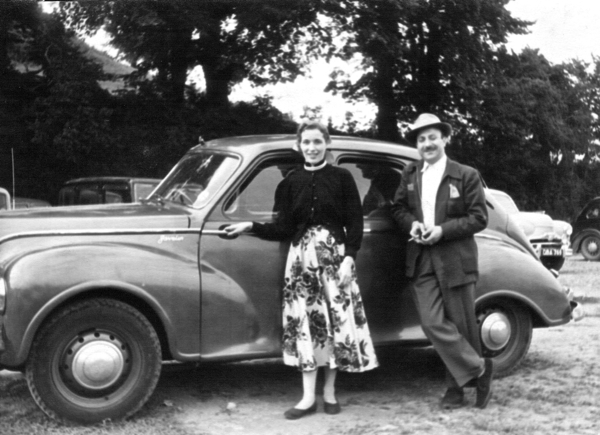 When my mother, Ivy, met him he was flush with cash and he used to drive a Jowett Javelin. She thought he was a millionaire. Although he was brought up Jewish, she was Church of England, so I am not Jewish and he never made any attempt to bring me up in the faith. Ivy’s daughter Vivien was adopted by Harry, and the family moved to Kenton. 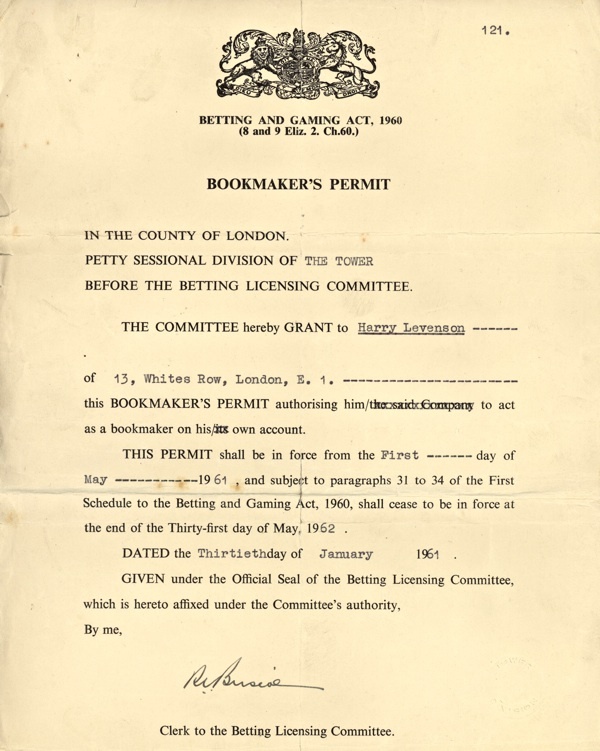 In 1961, the law changed and my dad obtained the first Bookmaker’s permit in Spitalfields. 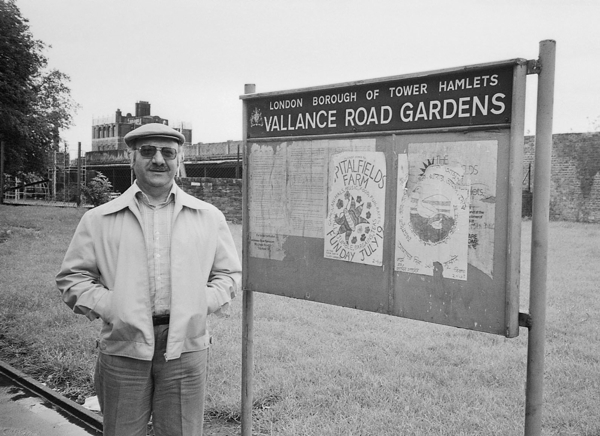 He moved the business out to Gospel Oak when I was about two, but he used to bring me back with him whenever he came visit his friend Dave Katz who had a factory making trousers off Commercial St. I remember walking around the streets when I was four or five years old, Spitalfields was frightening to a boy from the suburbs. It was a strange place. Harry Levenson speaks in 2002, recalling compulsive gambler Sidney Breton. 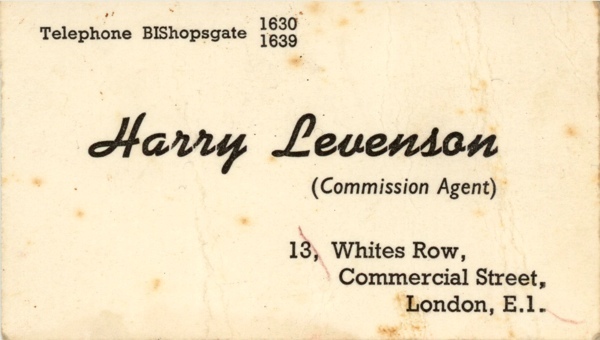 Harry Levenson obtained the first bookmaker’s permit in Spitalfields in 1961. 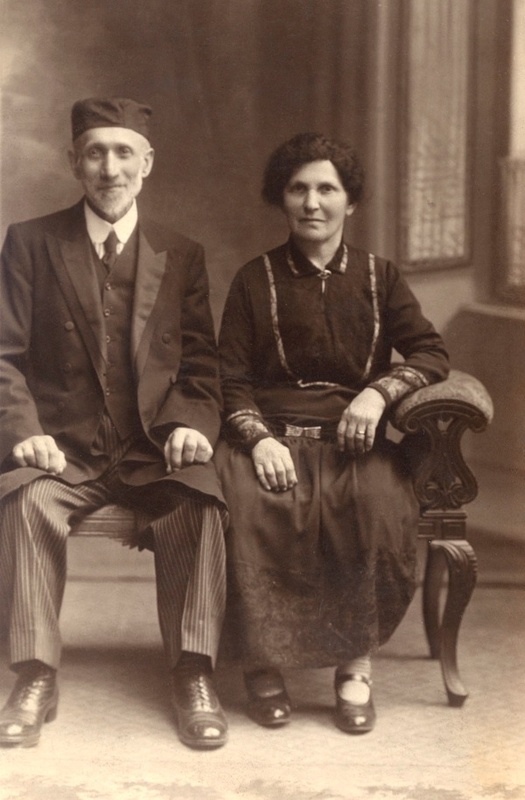 Harry’s grandparents, Morris & Sarah Moliz. 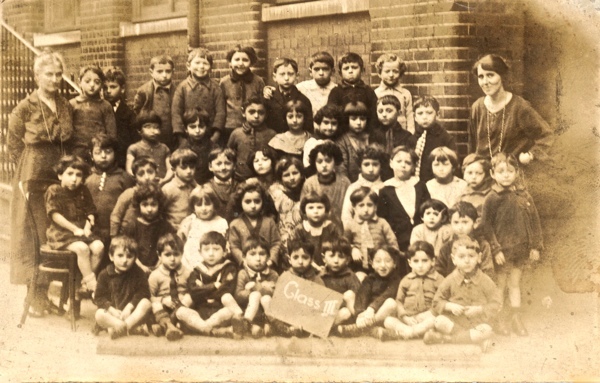 Harry holds the card in his class photo at Robert Montefiore School, Deal St. c. 1925. 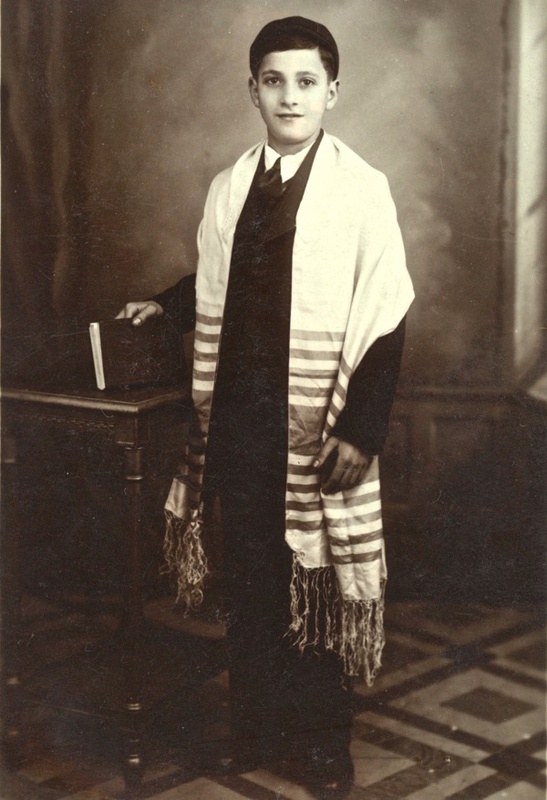 Harry at his Bar Mitzvah, Great Garden St Synagogue, Spitalfields, 1932. 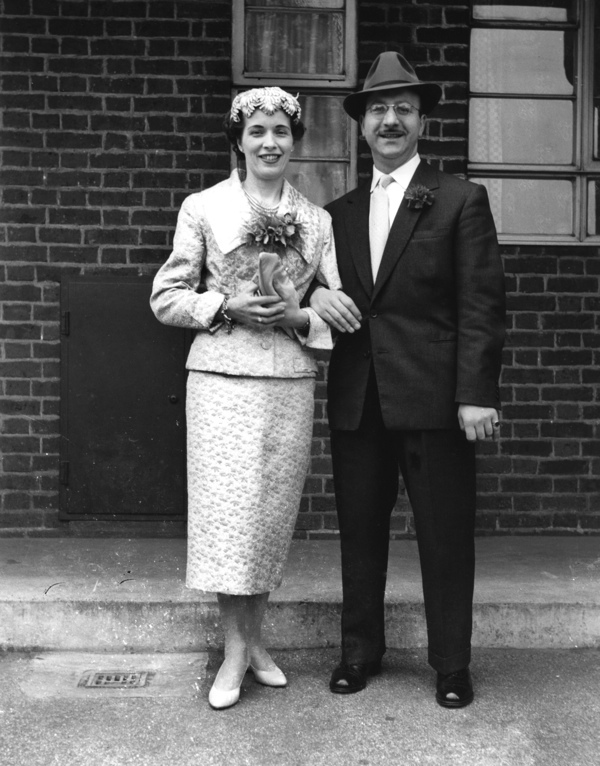 Harry & Ivy Levenson at their marriage in 1957. Harry takes Ivy for a spin in his Jowett Javelin. 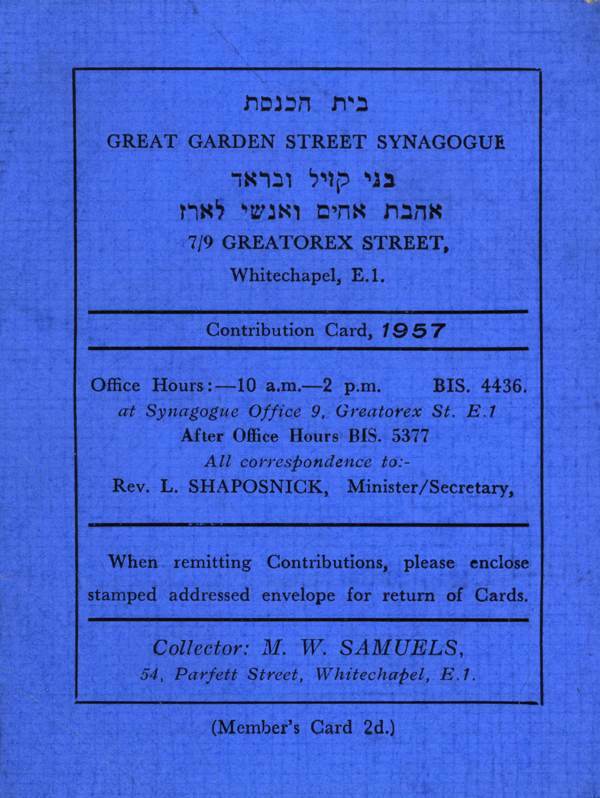 Harry’s synagogue card, which lapsed in 1957 at the time of his marriage. 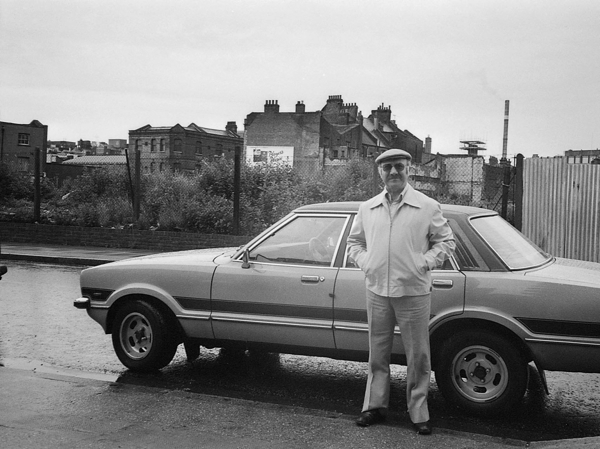 Harry returns to Old Montague St in 1980. 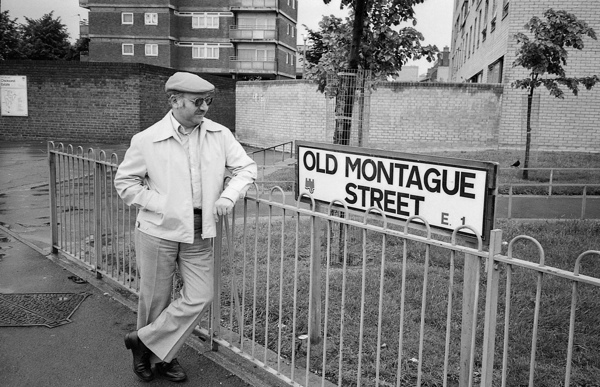 Harry revisits the site of Regal Place, off Old Montague St, where he was born in 1919. Harry at Vallance Rd Park. Harry reunited with an army comrade on the Isle of Man in 1989. Harry with his granddaughter Katy in 2005. David Levenson revisits 13 Whites Row where his father ran the first betting shop in Spitalfields. A natural raconteur: sad in many ways but the way he descibes the machinations of his life had an underlying humour. It made me smile. I myself have had experience growing up with an addictive gambler in my family. It wrecks lives.